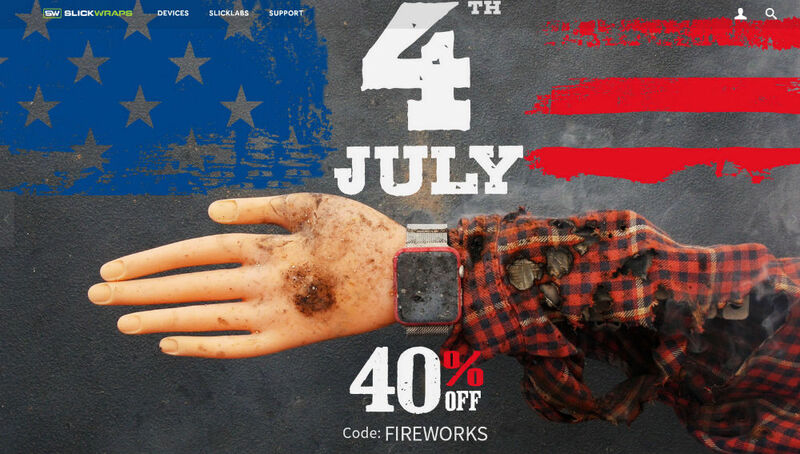 To celebrate the 4th of July, SlickWraps is hosting a site-wide sale, allowing customers to take 40% off what appears to be any product they currently sell. This could be a skin for your smartphone, tablet, laptop, or even gaming console. Anything goes. For most devices, SlickWraps has a ton of material variety to choose from, but not only that, each material comes in different colors. The customization level for almost any major device on the market is quite high. If you want wood on your Xbox One, they got it. If you want to bedazzle your Nexus 6, they got it. Follow the link below to find what you want, then enter promo code FIREWORKS.